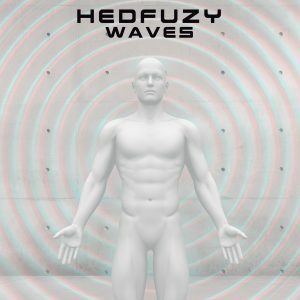 Hostile Media are pleased to welcome Irish Prog outfit HEDFUZY to the labels growing roster and will release the bands second full length album Waves this February 1st. Album launch gig: 26th Jan 2019 – Kasbah Social Club, Limerick. Pat Byrne kicked off his musical career touring at the age of 17 with Irish group CELTIC FUSION before going on to tour and record with a multitude of acts such as rock band KRAVEN and reggae outfit JEFFONESTA. More recently he can also be found sharing bass duties with Chuck Rainey and Divinity Roxx on R&B electronic act DELOREAN SUITE’s current release “Two Lives”. Having earned a solid reputation as one of Ireland’s hottest musicians with appearances in various esteemed publications such as Bass Guitar Magazine (UK), Hot Press (Ire) and Total Guitar (UK). The Limerick city born and bred multi-intrumentalist unveiled plans for the very first HEDFUZY record in 2015. The progressive rock project was ultimately a solo outing, with Pat having enlisted the talent of drummer Ben Wanders of fellow Limerick prog outfit SHARDBORNE and ex-XERATH, DELOREAN SUITE keyboardist Graham Conway, guitarist Graham Keane of THE VICIOUS HEAD SOCIETY, and guitarists Mike Moriarty and Cameron Allen, on this particular occasion to flesh out the debut album. Like many progressive records, the HEDFUZY self-titled was no different in that it is extremely diverse and draws from a wide field. The album takes the listener on a journey through many soundscapes, and lyrically on a path following one man’s reflections upon the decisions he has made in life, good and bad.